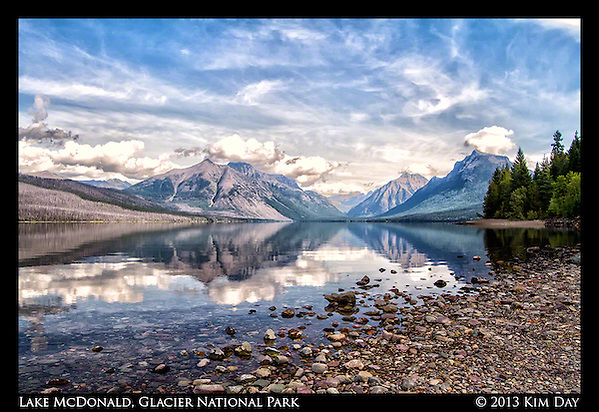 On my second visit to Glacier National park, the water of Lake McDonald was as smooth as glass, producing vivid reflections of the surrounding mountains. My cousin Diane and her husband Doug graciously posed for me at water’s edge. This entry was posted on Saturday, September 28th, 2013 at 11:49 PM. 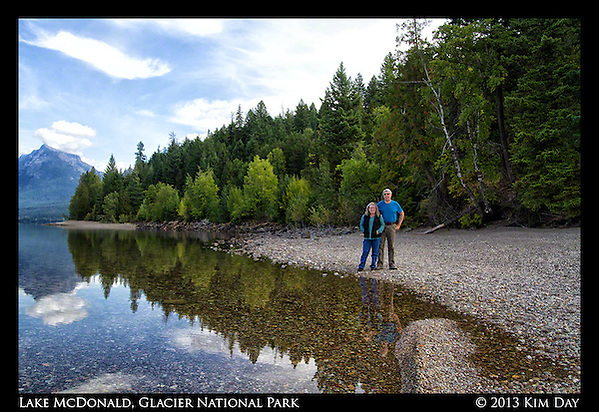 It is filed under Globetrotting: Near and Far, Montana, Travel, US and tagged with Glacier National Park, Lake McDonald, Montana, Mountain Reflections, Mountains. You can follow any responses to this entry through the RSS 2.0 feed. Beautiful shots! You really captured the reflections.